Enter below for a chance to win a $100 gift card! 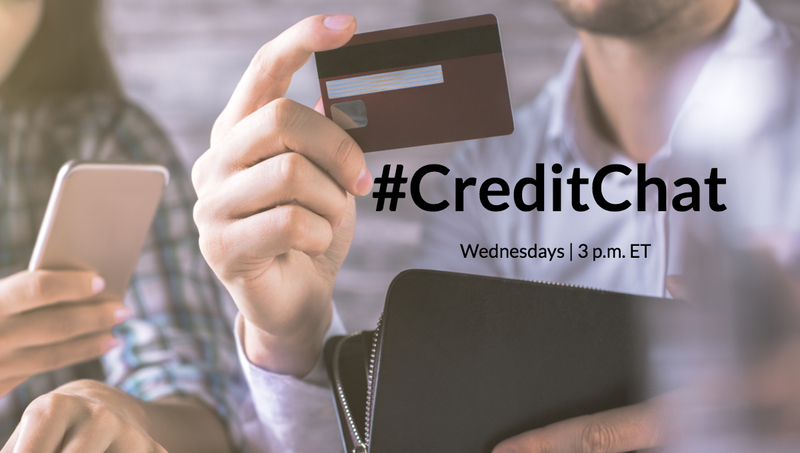 Join our #CreditChat on Twitter on Wednesday, March 20, at 3 p.m ET. This week, we’re talking about ways to fatten up your thin credit file. When: March 20, 2019, at 3 p.m. ET. The panel will include: Rod Griffin: Director of Consumer Education and Awareness at Experian and Susan Henson: Consumer Credit Expert and Content Producer for Experian; Kelley Motley: Sr. Director, Analytical Consulting at Experian; Dara Duguay: CEO of Credit Builders Alliance; Bruce McClary: Vice President, Communications at National Foundation for Credit Counseling (NFCC); John Ganotis: Founder of Credit Card Insider; Nisiar Smith: CEO, Founder of The People’s Innovation Movement; Sabya Mukherjee: Risk Manager at Trezeo; Lauren Jackson: Content Marketing Manager at Self Lender; and Beverly O’Shea: Staff Writer at NerdWallet. Q1: What does it mean to be a thin file consumer? Q2: Is thin file the same as having bad credit? Q3: Who suffers from thin file the most? Q4: How would having a thin file impact your life? Q5: How can you start building your credit? Q6: What is a secured credit card? Q7: Would being an authorized user on someone else’s account help you build credit? Q8: Can you use utility bills to boost your credit score? Q10: Any final tips on how to fatten up your thin credit file? OFFICIAL RULES NO PURCHASE NECESSARY TO ENTER OR WIN. A PURCHASE OF ANY KIND WILL NOT INCREASE YOUR CHANCES OF WINNING. VOID WHERE PROHIBITED OR RESTRICTED BY LAW. OPEN TO LEGAL U.S. RESIDENTS AT LEAST 18 YEARS OLD ONLY. The Experian Giveaway (“Sweepstakes”) is sponsored by Experian Information Solutions, Inc. (“Sponsor”), an Experian company. 1) General: All federal, state and local laws and regulations apply. Void where prohibited or restricted by law. By participating in the Sweepstakes, you agree that: (1) you have read and understand the Official Rules; (2) you meet the Sweepstakes eligibility requirements as explained in the Official Rules; (3) you unconditionally accept and agree to comply with and abide by the Official Rules and the decisions of Sponsor, which are final and binding in all respects. An entrant’s failure to comply with these Official Rules may result in disqualification from the Sweepstakes. 2) Eligibility: Sweepstakes open to natural persons who are legal residents of the U.S., 18 years of age or older at the time of entry. Employees, directors and officers of Sponsor and its affiliates, parents, subsidiaries, representatives, licensors, licensees, successors and assigns, and advertising and promotion agencies (together, the “Sponsor Entities”) and members of their immediate families (spouses, parents, children, and siblings and their respective spouses, regardless of where they reside), and/or those living in the same household of any of the foregoing, are not eligible. Entrants must have a valid Rafflecopter and Twitter account (or valid e-mail account, for the alternate method of entry described below) to enter. If you do not have a Rafflecopter or Twitter account and you would like to create one for free, visit http://rafflecopter.com or www.twitter.com, respectively, for more details. Registration for and use of Rafflecopter or Twitter is subject to the Rafflecopter and Twitter terms and conditions, respectively. Sponsor Entities have no responsibility with respect to such registration or use. This Sweepstakes is not sponsored, endorsed or administered by, or associated with Rafflecopter or Twitter. 3) Entry Period: Sweepstakes opens 20, March, 2019 at 3:00 pm Eastern Time (“ET”) and closes 20, March, 2019 at 4:00 pm ET (“Entry Period”). All times to be determined by Sponsor’s clock. 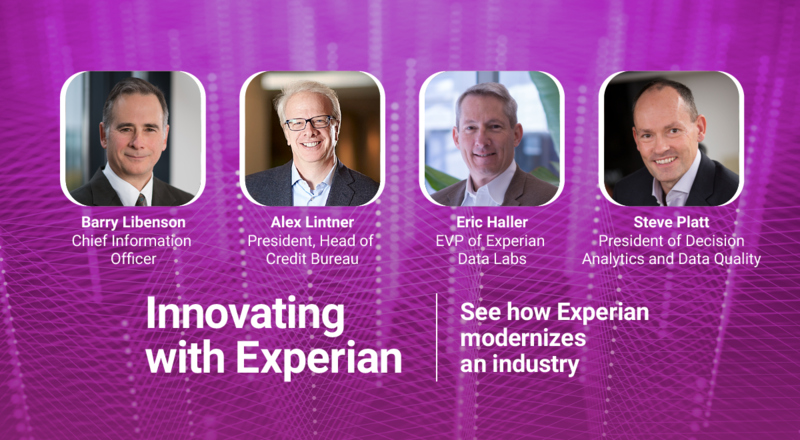 Twitter Entry: During the Entry Period, submit your name on Rafflecopter and complete the following tasks: (1) follow Experian on Twitter (Twitter handle: @Experian_US); and (2) participate in the #CreditChat on Twitter with the hashtag: #CreditChat. E-mail Entry (Alternate Method of Entry): To enter via email, you must send an e-mail to socialteam@experian.com with “Credit Boost Sweepstakes” as the subject of your message and include your full name, date of birth, email address and ten-digit daytime telephone number in the body of the e-mail. Any text you submit (the “Online Submission”) must be your own original creation and must not have been previously submitted or published in connection with any other contest or sweepstakes. In addition, your Online Submission must not infringe any rights of publicity, copyrights, trade secrets, or other intellectual property rights, or any third-party rights. You acknowledge and agree that your Online Submission will be disqualified if it contains any material that is indecent, obscene, hateful, tortious, defamatory, or libelous, violates any laws or otherwise contain images and/or text which Sponsor in its sole discretion decides is inappropriate or objectionable. 5) Selection of Winners; Odds of Winning: Two (2) potential winners will be selected, via a random prize drawing conducted by Sponsor on or about 20, March 2019. All prizes will be awarded. Limit one (1) prize per person. Odds of winning depend on the number of eligible entries received during the Entry Period. 6) Prizes and Approximate Retail Values (“ARV”): No more than one (1) prize will be awarded to any person. Each prize is a $100.00 Cash gift card. Approximate retail value (“ARV”) of prize: $100.00. Total ARV of Prizes (Two (2) $100.00 Cash gift cards): $200.00. Prize awarded “AS IS”, “AS AVAILABLE”, and without warranty of any kind, express or implied, including without limitation any implied warranty of merchantability or fitness for a particular purpose. Any warranties on a merchandise prize are subject to the manufacturer’s terms and conditions and winner agrees to look solely to said manufacturers for any such warranty claim. All federal, state and local taxes and duties are the sole responsibility of winner. Prize may not be transferred, substituted or redeemed for cash, except that Sponsor may substitute prize of equal or greater value due to prize availability. Any item or expense in connection with receipt or use of the Prize, which is not specified above, is the sole responsibility of the winner. Winner may be required to comply with additional terms and conditions of issuing company to redeem prize. 7) Winner Notification: Potential winner(s) will be notified by Sponsor via a direct message to their Twitter account (“Private Message”) or via email. If a potential winner does not respond to a Private Message within 48 hours of the notification Sponsor, (ii) the Sponsor’s Instagram or Twitter account or e-mail account is blocked from contacting potential winner via Private Message, (iii) the prize or prize notification is returned as undeliverable, or (iv) potential winner cannot or does not respond or accept the prize for any reason, then the potential winner will be disqualified and an alternate potential winner will be selected from all remaining eligible entries received during the Entry Period. Once a potential winner has engaged in a Private Message communication with Sponsor, Sponsor may send the potential winner additional verification instructions via Private Message, email, postal mail and/or express mail at Sponsor’s sole discretion. Potential winner is subject to verification by Sponsor, which reserves the right to disqualify any entrant or potential winner who is ineligible or has violated any applicable law or these Official Rules. Potential winner is not a winner unless and until Sponsor so determines. Prize[s] will be delivered to the winner[s] via U.S. Mail to the address provided by winner at confirmation within three (3) weeks of Sponsor’s determination of the winner. Experian #Creditchat on Periscope: How Can a Young Person Build Credit? #AskSusie – How Can I Start Building My Credit?